One of the fun foods that Nonna made for T’s kitchen set was an ice-cream sandwich. It was at that moment that I realized how horribly neglected my poor little girl had been. Because, you see, Poor Puff had never even seen an ice-cream sandwich in her entire life! No wonder she thought it was a sponge. . . Naturally, I set out immediately to remedy the situation. 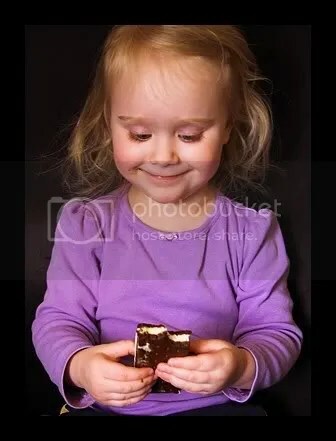 I am thrilled to announce that, at this point in her life, the Puffy Wonder not only knows what an ice-cream sandwich is, but that she is a huge fan. still my favorite. I could eat a whole box. that’s why I dont buy them. How cute. Tori hasn’t had one either. Though she’d quickly understand the concept of ice cream. Some company has tiny ones…great for little people, or people trying to watch what they eat (we don’t buy these, we would buy the real size, but my stepmom buys this size…crazy lady). Oooh! If I had seen any of the teeny tiny ones at the store, I’d totally have gotten those for Teababall! No matter, she was thrilled with her normal-sized one! She is causing me to desire an ice cream sandwich!!! Yum, yum!! Hope you do complete your list!! Wal-mart always makes me nervous! Poor Girl! 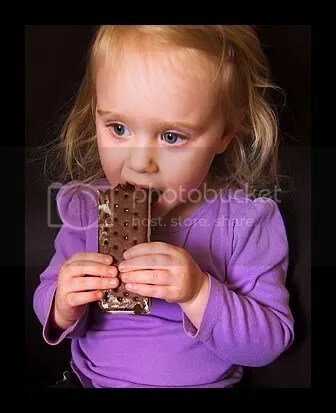 She never had an ice cream sandwich before! Their the best! Too cute that she thought it was a sponge! Can’t blame her though, lol. 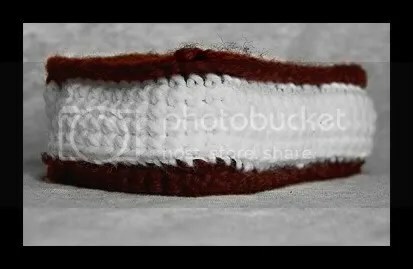 Looks like Nonna needs to get busy knitting a “real” sponge! I havent’ had an icecream sandwich in awhile. I think Julia had some bites of mine one time, but never actually her own. Look at that smile!! I love it!! 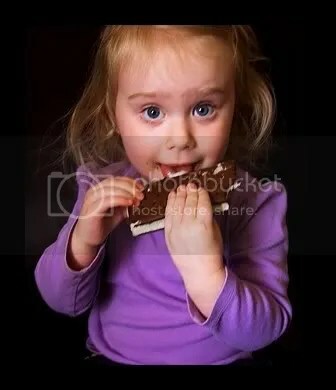 Can’t blame her there, I LOVE ice cream sandwiches.